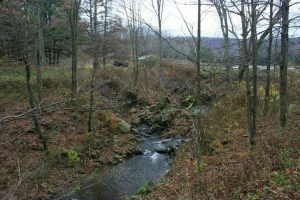 Hager Engineering civil engineering projects prepared a design for raising the dike 6 feet, and repairing the existing pond dike. After years of neglect the outlet works needed to be redesigned and replaced. The auxiliary spillway was relocated and rip-rap installed to prevent future high water events. 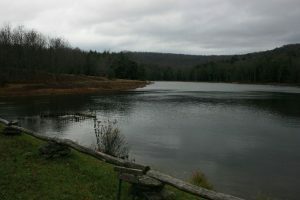 Increase the beauty and value of your property today with a new recreational pond. Hager can help you design & plan a pond that will enhance the natural landscape of your property and give your kids many hours of enjoyment fishing from a pond that produces food that is safe to eat! 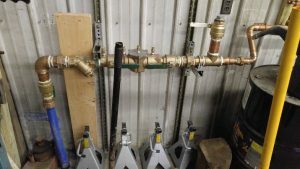 Hager Engineering designed a 2” diameter double check valve assembly for the highway shop, that will enable them to install a water salesman service for the community. 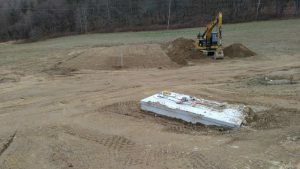 Hager Engineering has designed hundreds of septic systems over the past 25 years, in the finger lakes and southern tier regions of New York. We continue to provide cost effective, quality designs of sand filter, raised bed and standard trench systems. Our many years of extensive experience, our demonstrated successes and our dedication to our clients bear testimony to the fact that the Hager Engineering Company will always get the job done right.